Since I’ve been selling jams and syrups at the local farmer’s market, I have been using tons of small mason jars and my kitchen is full. Overwhelmed by medium sized-mason jars, I wanted to put them to work! An idea that solved more than one problem, these herb gardens are adorable, functional and easy to make. -Get these jars out of my kitchen! -Solve the problem of small bugs eating plants in my garden. Mint and verbena herbs help to repel flies and other bugs, and I have huge pots of them in each corner of the balcony garden. Since the plants are working hard, but can’t be everywhere at once, I decided to spread them out so their benefits could be enjoyed by more of the garden. I didn’t want to drill holes in the mason jars in case I wanted to use them again in the future, so I decided to place some pebbles in the bottom of the jar to help with drainage. 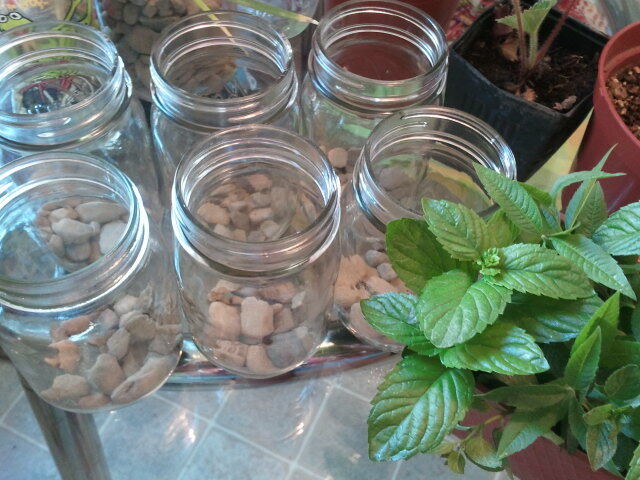 Filled the jar with a mixture of dirt and perlite, then I took some cuttings from my mint and verbena plants. 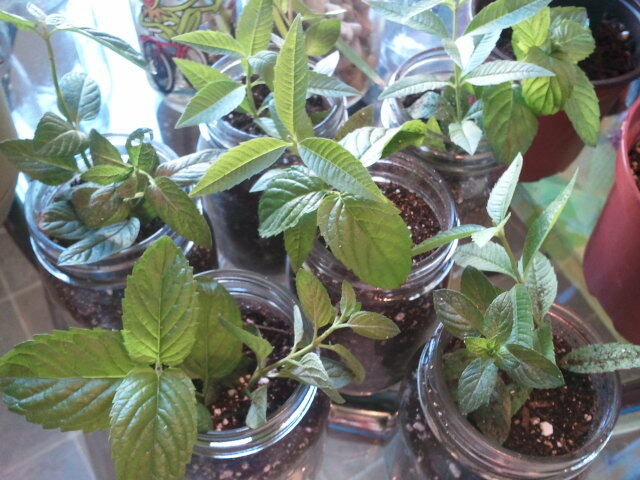 I mixed each jar to include a few springs of each plant, then watered them each well. 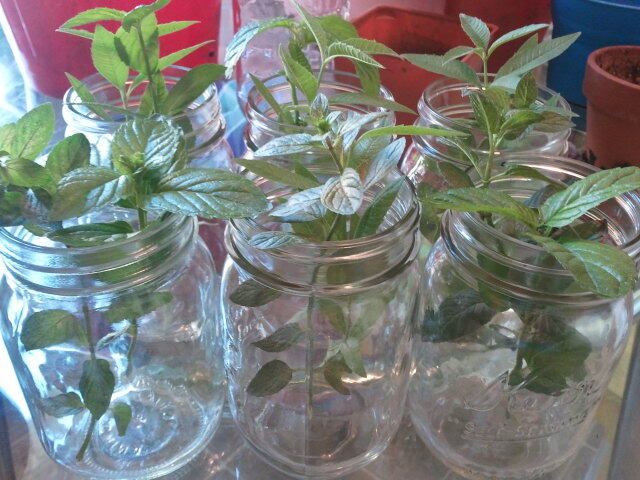 Since they are in jars, I won’t have to water them very often at all, maybe once per week at the maximum. Once your plants are established, place the herb garden jars anywhere you want and it will help reduce bugs and pests in the garden. Have you ever tried this? Of course! 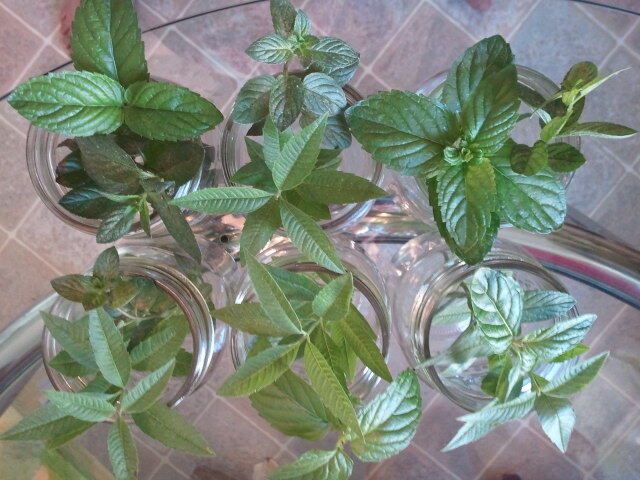 Enjoy your mini herb gardens! Thanks! Be sure to let me know if you try it!